networks of memory and knowledge distribution." Onassis Cultural Center, Athens, Greece. weeklong sound design unit for students on CIID’s interactive design certificate program. recording, and composing workshops with 3rd grade students to create activated soundscapeswithin dioramas of the school premises. exercises, building micro-transmitters, and public broadcast with Radius. Visiting Artist School of the Art Institute of Chicago (SAIC). Nic Collin’s Hardware Hacking Class. Presented resources and led a workshop in constructing paper speakers. Ramona Stout on our installation Still Here for the NAISA TransX Festival live on WGCX 109.3FM. composer Raven Chacon in studio techniques. Change in Central Asia, Routledge, 2013. 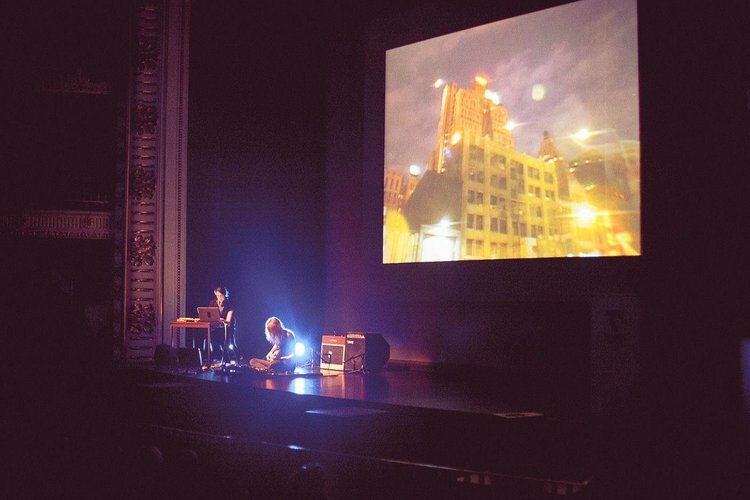 “Whispering Galleries,” a review of the Chelsea Sound Festival in NYC, F Newsmagazine, 2012. “Jim Woodall’s Olympic State”, The Art of Dissent, Margate Press, 2012. “Amber Alert”, 24 Hour Olympic State exhibition booklet, See Studio Gallery, 2011. “Watching the Watchers”, The Hackney Citizen, London, UK, 2011. “Global Gathering: Timbuktu”, weekend feature on the Festival in the Desert, The National (UAE), 2011. “Music and Independence in Uzbekistan”, Steppe Magazine, 2009. “The Perfect Veneer of Uzbekistan’s Independence,” Prospect Magazine, 2009.